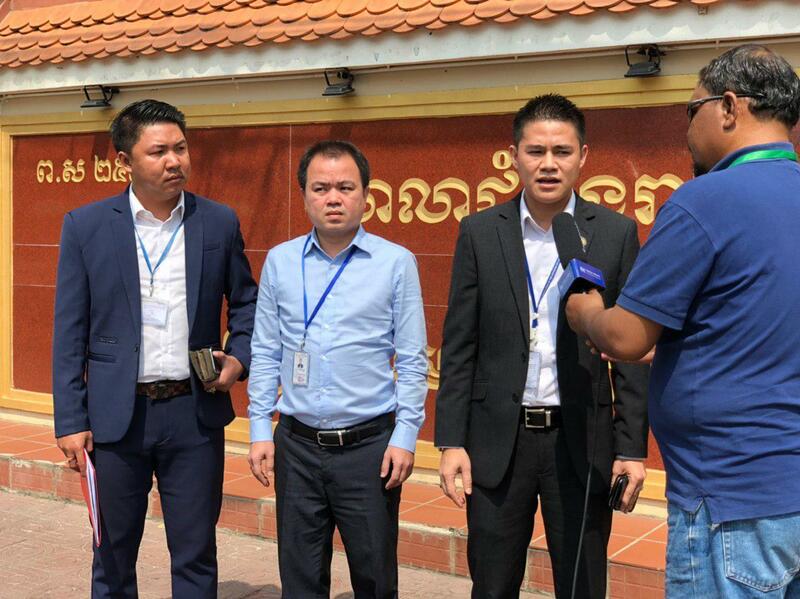 Phnom Penh (FN), April 1 – Fresh News, on Monday, submitted further evidences on complaints against Facebook user Pheng Vannak. 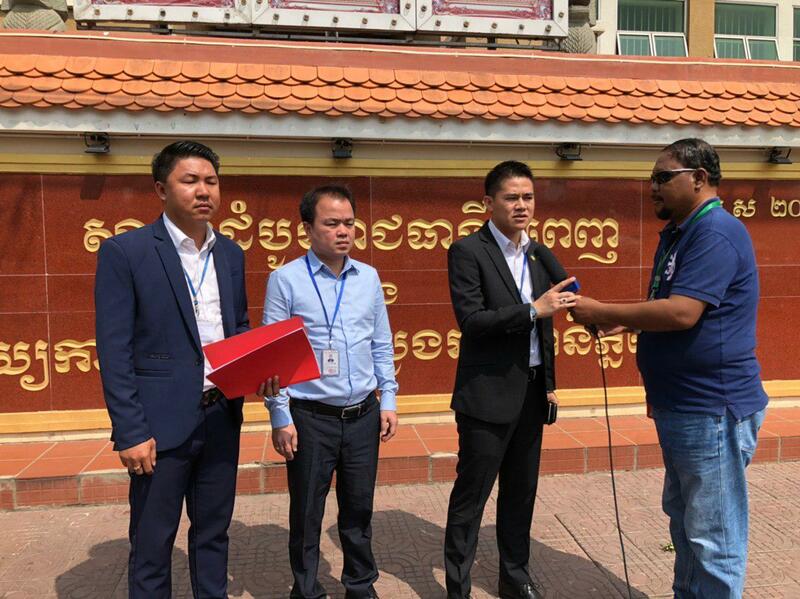 Fresh News lawyer Ly Rath Thy said the complaint against Vannak aims to protect the prestige of Fresh News media institution and its staff that were discredited by Pheng Vannak. Vannak’s actions have discredited Fresh News who has worked days and nights to provide timely news to Cambodian people local and abroad, the lawyer said. 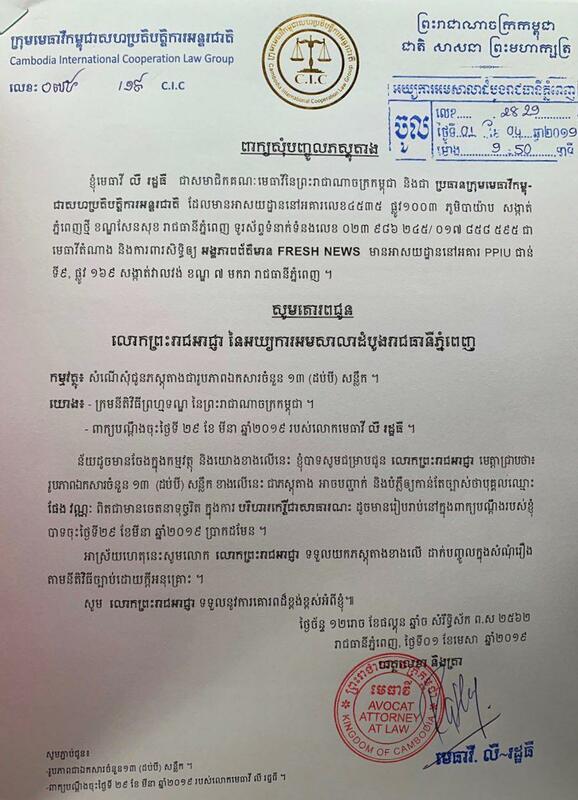 It is worth noting that Fresh News filed complaints against Pheng Vannak on 29 March 2019 for “public defamation” without proper grounds. “Fresh News always alerts [through its app notifications] but I never see Fresh News reported when people cry. The media only reports case that they receive money,” said Vannak on his social media. “When people cry, Fresh News did not get money, so Fresh News does not help...,” he added.